Visit this bustling bazaar and bargain with vendors for everything from beaded dresses and tailored suits to jewelry and shoes. In a city revered for its bazaars and shopping opportunities, Katra Jaimal Singh Market stands out as one of Amritsar’s best markets. Discover a warren of teeming streets packed with retail outlets, restaurants and food stands. Admire the shop windows decorated with a rainbow of colors and watch enthusiastic sellers bargain with customers. Katra Jaimal Singh Market is one of several bazaars set amid Amritsar’s historic center and is famous for its diverse clothing stores. Wander the busy market streets and peek inside the stores, where sellers sit eagerly awaiting the arrival of shoppers. See colorful pashmina scarves and embroidered dupatta shawls packed floor to ceiling. Spot men trying on wedding suits and women searching for brightly colored saris. Shop for tailored shirts, silk ties, extravagant dresses and traditional Punjab jutti shoes. The reasonable prices of the market make it a popular place for buying in bulk. Observe as customers engage in lively bargaining battles. Bargaining is normal; be sure to practice your own deal-making skills. Many shops offer similar items so visit a few before making your final decision. Take time to appreciate the organized chaos that takes place on the streets. Marvel as auto-rickshaws, cycle rickshaws and scooters weave between the pedestrians. Stand back from the crowds and listen to the cacophony of sounds that resonate from the shops, street vendors and traffic. Sample a chai tea or traditional Punjabi street food such as spicy chicken tandoori served with paratha (flatbread). Located in Amritsar’s old city, the market is just a short walk from other major city attractions. Durgiana Temple, Jallianwala Bagh and the Golden Temple are all about 10 minutes on foot. Continue your Amritsar shopping experience at nearby Hall Bazar, a popular handicraft, jewelry and home décor market. Katra Jaimal Singh Market is open daily, although some shops close on Sunday. Admire magnificent temples, listen to the infectious sounds of devotional chants and experience a sense of inspiring tranquility at Sikhism’s holiest shrine. This memorial park stands as a poignant memorial to the pilgrims and festival-goers who lost their lives during a notorious 20th-century massacre. Stroll around a holy water tank and listen to the enchanting sounds of devotional song as you move between centuries-old temples and spot statues of deities. 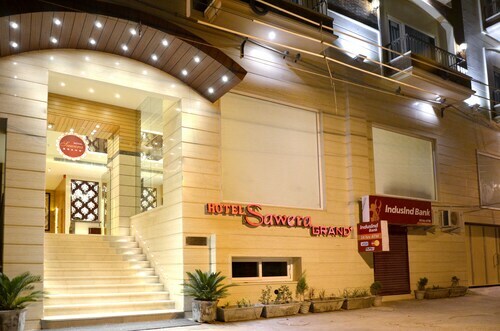 Situated in Amritsar, this hotel is 0.4 mi (0.6 km) from Mata Lal Devi Temple and 1.8 mi (2.9 km) from Golden Temple. Gandhi Gate and Hall Bazar are also within 1 mile (2 km). Located in the heart of Amritsar, this hotel is within a 15-minute walk of Partition Museum and Durgiana Temple. Jallianwala Bagh Monument and Golden Temple are also within 1 mi (2 km). 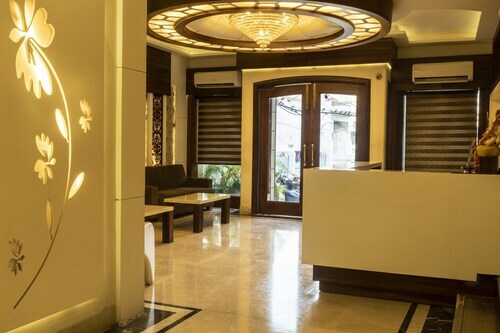 Situated in Amritsar, this hotel is steps away from Central Sikh Museum and Golden Temple. Akal Takht and Gurdwara Kaulsar Sahib are also within 10 minutes. 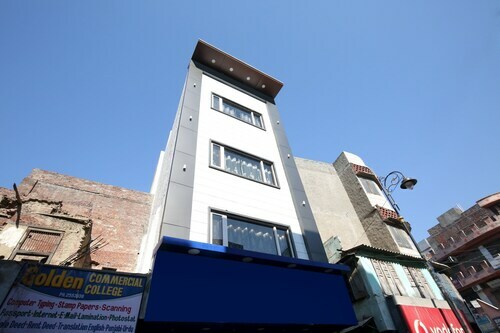 Situated in the historical district, this hotel is within 1 mi (2 km) of Hall Bazar and Golden Temple. Katra Jaimal Singh Market and Partition Museum are also within 5 minutes. 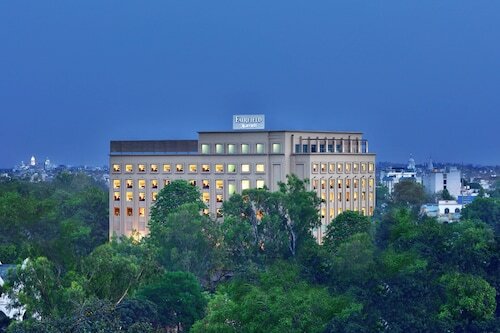 Situated in Amritsar, this hotel is within a 15-minute walk of Hall Bazar and Golden Temple. Katra Jaimal Singh Market and Partition Museum are also within 5 minutes. 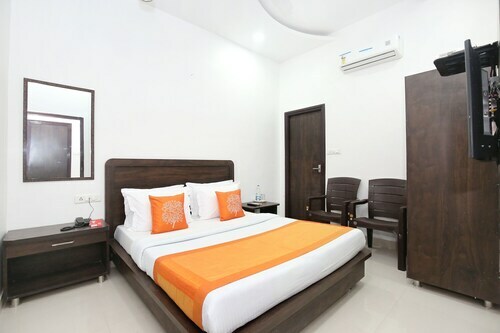 Situated in Amritsar, this hotel is within a 15-minute walk of Katra Jaimal Singh Market and Golden Temple. Hall Bazar and Partition Museum are also within 10 minutes. 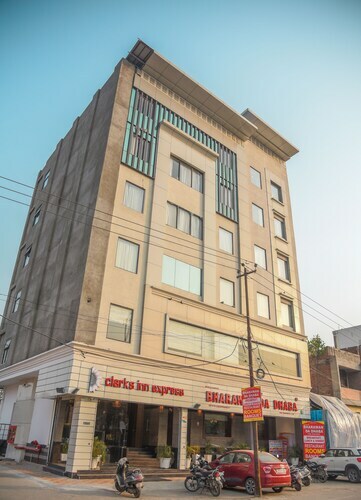 Situated in Amritsar, this hotel is within 1 mi (2 km) of Hall Bazar and Golden Temple. Katra Jaimal Singh Market and Partition Museum are also within 5 minutes.